A quarter-final match in an ATP Masters tournament is where Novak Djokovic hardly makes any news because he is usually so dominant at that stage. But the World No. 1 did make the headlines on Friday at the 2016 Shanghai Masters for his escape act after managing to avert an upset bid by the 110th ranked qualifier Mischa Zverev. The German was just one game away from producing his career’s biggest win but in the end, it was the top seed who fought back to prevail, 3-6, 7-6(4), 6-3 in 2 hours 20 minutes. It has been eight years since the Serb lost to a player ranked outside the top 100. In the initial stages of this match, there appeared a possibility of it happening again as Djokovic never looked comfortable. He trailed by a set and even went down 0-2 in the second set very quickly. Djokovic then showed why he is currently the world’s best player. He regrouped to break back and forced a tie-break which he won. In the third set, it was just a solitary break that awarded the 12-time Grand Slam champion the win. Djokovic was broken four times in this match. 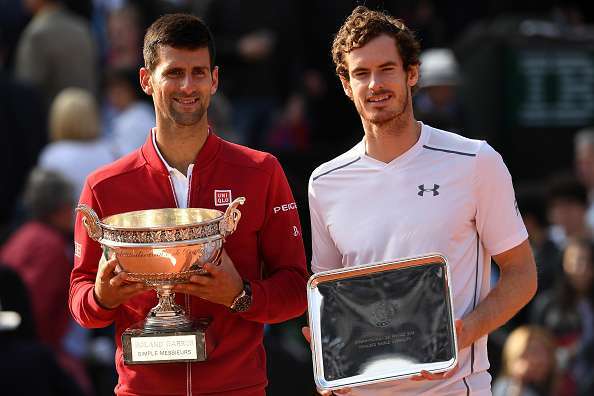 He will next face the 15th seed Roberto Bautista Agut, who upset the ninth seed Jo-Wilfried Tsonga 6-3, 6-4 thus preventing a repeat of last year’s final. For the Spaniard, this is his second career semi-final at an ATP Masters event. In the other half of the draw, second seed Andy Murray continues his ruthless run. The Wimbledon champion was in control of his quarter-final against the 11th seed David Goffin from start to finish. He needed only 1 hour 35 minutes to post a 6-2, 6-2 victory. Murray saved all five of his break points and made in-roads into Goffin’s serve four times. The China Open winner will next take on the French veteran and 2014 runner-up Gilles Simon who had a comeback 4-6, 6-4, 7-6(5) win over Jack Sock on Friday. A day after saving two match points to topple Milos Raonic, Sock looked to back up that big win as he led Simon by a set and a break. Simon, who had upset Stan Wawrinka in the previous round, came back to form mid-way through the second set after the American started conceding a lot of unforced errors on his backhand wing. The third set remained competitive till the very end and Sock was even up 5-4 in the tie-break before Simon closed out the win. Murray leads his head-to-head meetings with Simon 14-2. His last loss to Simon came in February, 2015 at Rotterdam.